Want to WEAR MY DESIGN? 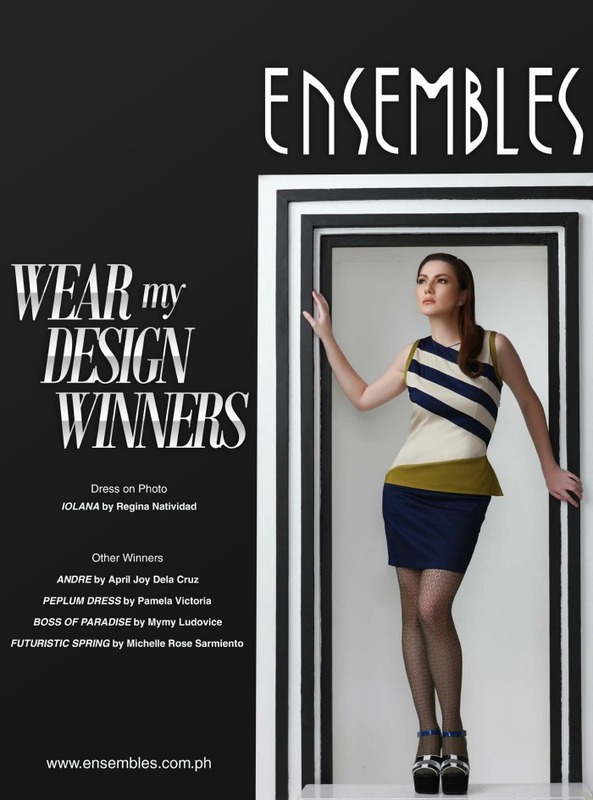 With the rise of Philippine fashion comes the emergence of young, hopeful designers who get the chance to showcase their talent and creativity to the whole nation.Ensembles has given this wonderful opportunity to 5 lucky ladies as they won the Wear My Design Contest for Spring 2013. They were chosen out of almost a hundred entries submitted by designer hopefuls nationwide. Among the wide array of prizes they have won, the best part is that they get to live out their dream of being acknowledged as a designer, and their winning designs worn by ladies all over the country. What made these ladies win was because they captured the essence of what an Ensembles woman embodies. “One who is confident, knows the trends and can carry it well. She can stand on her own and can stand out at the same time”, as described by Mymy. Also, they got to play out one of the key aspects of Ensembles, which is versatility. 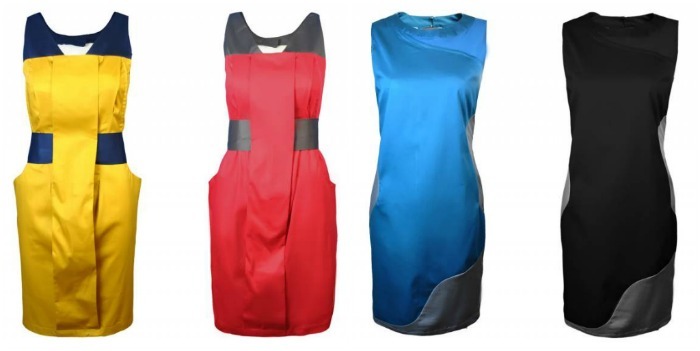 “The dress can be worn from day to night. Just put on a blazer for work matched with stunning stilettos then take the blazer off for night outs”, Michelle said, pertaining to her dress. Wearing one of the winning designs is CarminaVillaroel who just recently got married to longtime partner ZorenLegaspi. When asked what she thought of the winning styles? "Wow, these are from non-professional designers? They look flattering and practical, perfect for me and my busy schedule!" The winning creations are to be released as part of the Spring 2013 Collection of Ensembles and is scheduled to hit the stores nationwide this February 2013.So, do you think you have what it takes to become a designer? Then join the next Wear My Design contest which will be held from May 1- June 30, 2013! Watch out for it! Who knows, it could be your creation that will be featured in our next spring 2014 collection! For more information, visit www.ensembles.com.ph. Or visit our facebook page facebook.com/EnsemblesOnline and follow us on Twitter and Instagram @EnsemblesOnline.